It almost goes without saying that a clean system means better air quality in your home. When your air conditioning equipment is free of dust, dirt and debris, and the filter is fresh and clean, the air circulating throughout your home will be fresh and clean, too. If you look at the warranty stipulations on your home comfort equipment, you’ll likely find that it requires annual maintenance for the warranty to remain intact. Many equipment manufacturers require this, and you shouldn’t overlook it. That’s because without maintenance, there could be small problems that become larger and more expensive ones later on. Without a valid warranty, those repair or replacement costs will come directly out of your pocket. 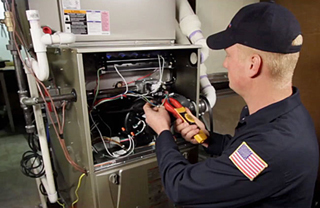 GRC Mechanical offers HVAC Tune Up Services in Bergen County, NJ and surrounding areas. There are many advantages to working with a professional HVAC contractor for your home’s seasonal maintenance needs. GRC Mechanical employs highly skilled technicians who strive to provide you with the best service possible. We’ve been in business since 1948, and our company is family owned and operated. As a Carrier® Factory Authorized Dealer and President’s Award winner, we take our commitment to you very seriously. Give us a call at 1.800.651.8222, or click here to schedule your HVAC System Maintenance, and we will be more than happy to set up an appointment for you. Don’t forget to ask about our Breathe Easy maintenance plan!